Debido a restricciones por parte del fabricante no podemos enviarle este artículo. Moving Comfort products to the European Union. Between these seams, you're equipped for anything. Embrace every challenge. Chase the sunrise. Push the pace. Find adventure. Run Happy. The Moving Comfort Uplift Crossback Sports Bra is ideal for women looking for a well-rounded bra for a wide variety of activities. 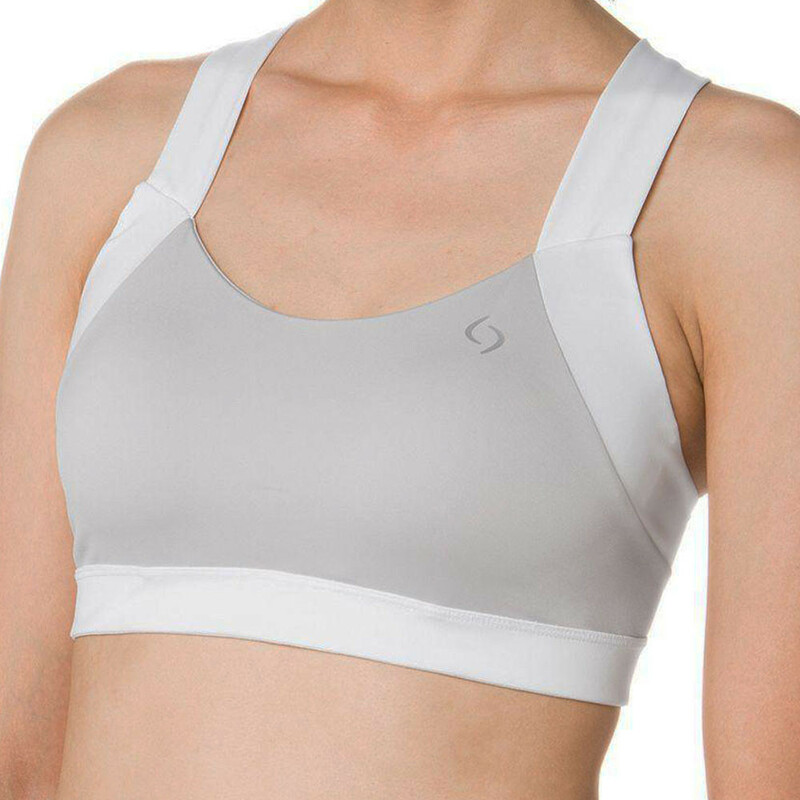 Designed with lightweight, perforated padded contoured cups which provide maximum shape and modesty, while the cross-back, powermesh staps enhance ventilation keeping you feeling cool and dry during workouts. The bra is made with Drilayer horsepower fabric which offers a comfortable next-to-skin feel, reducing the risk of irritation and discomfort. With a versatile mix of features, the uplift cross-back bra offers a high degree of support with a self-adapting bottom band which moulds to the body for a personalised and highly comfortable fit. Perforated Padded Contoured Cups - Provides maximum shape, while ensuring breathability. Cross-Back Powermesh Straps - For enhanced ventilation and a comfortable fit. Drilayer Horsepower Fabric - Enhances next-to-skin comfort. Self-Adapting Bottom Band - Moulds to the body for a personalised fit.